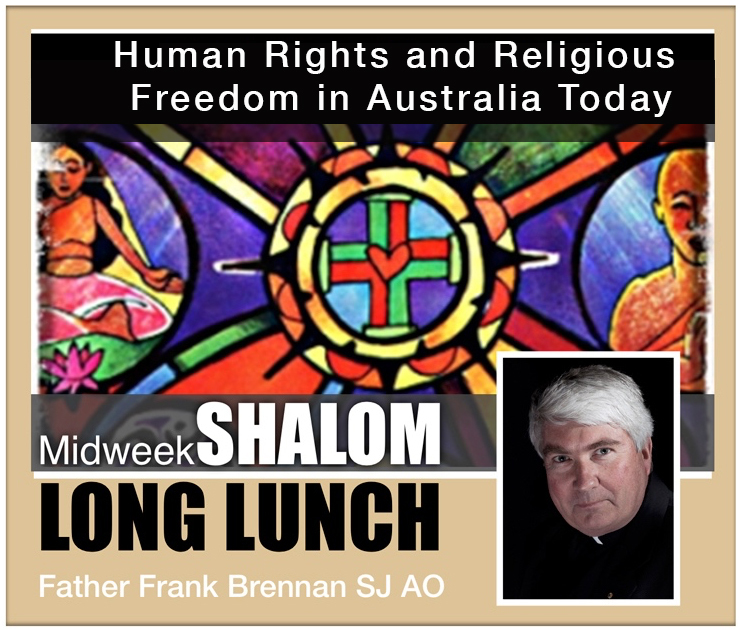 Father Frank Brennan’s credentials as priest, politician and advocate of human rights were in full evidence as he spoke at the long lunch at Shalom House of Prayer on Tuesday May 24th on the topic of ‘Human Rights and Religious Freedom in Australia Today’. 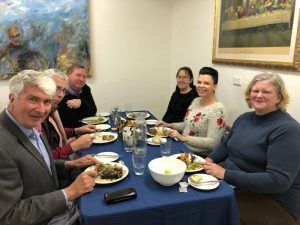 A fluent speaker, whose depth and expanse of knowledge and insight across the terrain of human, religious and legal activity in Australia in relationship with the rest of the world today, Father Brennan explained and expressed the need for further necessary conversations and legislation that shape protection of individuals and groups working within the environment of religious establishments. 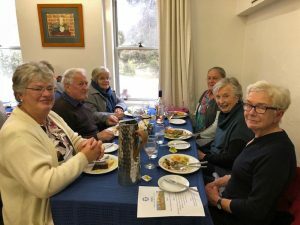 Also included is the need for protection of the rights of these establishments to retain their traditional, specific ethos in Australian society. 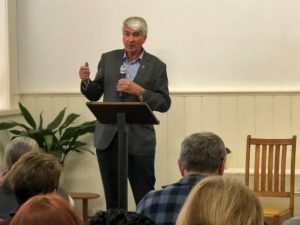 There was a vigorous question time that followed regarding the topic as well as questions surrounding the perceived inadequate address of refugees by the Australian government. 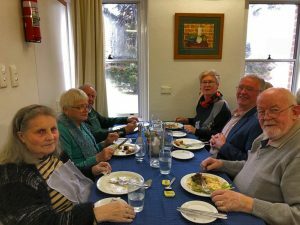 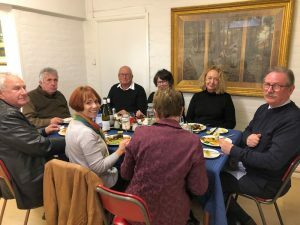 A superb lunch prepared by Shalom Community member and cook, John Hansen ably assisted by friends of Shalom Julian Carsens, Gareth Pickett, Kay Fowler and Cathy Griffiths, was served afterwards.